A search warrant was executed Thursday at the couple's home in New Jersey. New Jersey authorities have searched the home of a couple who is accused of squandering much of the more than $400,000 in donations they raised for a homeless veteran. Both prosecutors and police confirmed that a search warrant was executed early Thursday at the residence of Kate McClure and her boyfriend Mark D'Amico in Florence Township. They were once considered good Samaritans for raising the money through a GoFundMe account for the destitute Marine Corps veteran and former firefighter Johnny Bobbitt, Jr.
"Due to the enormous public interest in this matter, I am confirming that a search warrant was executed early this morning by the Burlington County Prosecutor’s Office and the Florence Township Police Department at the residence of Mark D'Amico and Katelyn McClure in connection with a criminal investigation into the Johnny Bobbitt matter," Burlington County Prosecutor Scott A. Coffina said in a statement. "As of this time, there have been no charges filed," the statement continued. "Further updates will be provided as circumstances warrant." Bobbitt, 35, captured national headlines last year after giving McClure, 28, his last $20 to buy gas when her car broke down on Interstate 95 near Philadelphia, where he was living under a bridge. To thank Bobbitt for his kindness, McClure and her boyfriend subsequently set up a campaign on the crowdfunding site GoFundMe that was intended to help Bobbitt get back on his feet. More than 14,000 people donated to the fund, raising a total of $402,706. "Johnny sits on the side of the road every day, holding a sign," McClure wrote on the page, which was created on Nov. 10, 2017. "He saw me pull over and knew something was wrong. He told me to get back in the car and lock the doors. A few minutes later, he comes back with a red gas can." Last week, Bobbitt filed a lawsuit in the Superior Court of New Jersey in Burlington County against McClure and D'Amico, 39, claiming the couple has spent much of the donated funds on personal expenses, including lavish vacations and gambling excursions. Bobbitt, who was in and out of rehab and is now back on the street, alleges he has only received about $75,000 and fears the rest of the money is gone, according to his lawyers. "I wish it didn't come to this," Bobbitt told ABC News affiliate WPVI in Philadelphia in an exclusive interview Aug. 31. "I hate that it came to this." (ABC News) Kate McClure and Johnny Bobbitt reunite for the first time on TV after Bobbitt helped McClure when her car broke down two months ago on I-95 exit ramp in Philadelphia. In an Aug. 27 interview with NBC News' Megyn Kelly on "Today," D'Amico and McClure said that after they paid fees to GoFundMe for setting up the account, there was about $350,000 in donations remaining, which they transferred to their private bank account because Bobbitt didn't have one. The couple immediately set up an account for Bobbitt and deposited $25,000 in it, which he spent in 13 days, most of it on drugs, they said. Bobbitt also had past-due legal fees they covered with the money and he sent some of the funds to his parents and brother, but Bobbitt used most of the money on drugs, they said. "Every dollar he ever touched was used for drugs," D'Amico said in the interview. "That's why it took so long for us to finally have to say, 'no' when it came time for him asking for money when we knew where it was going. I wanted to make sure that at the end of the day, when he was ready to, he had something left." The couple said they used some of the funds to purchase Bobbitt a 1999 Ford truck and a travel trailer. They said Bobbitt still has in excess of $150,000 in their bank account, and they've been working to get a trustee to manage the money. "That's what we're in the process of doing now," D'Amico added. "And we're in the process of having everything looked over by our lawyer and he [Bobbitt] has his separate lawyer and he will have his own trust and it will be out of our hands." They denied spending any of the money on themselves. (Elizabeth Robertson/The Philadelphia Inquirer via AP) In this Nov. 17, 2017, file photo, Johnny Bobbitt Jr., left, Kate McClure, right, and McClure's boyfriend Mark D'Amico are pictured in Philadelphia. On Aug. 30, New Jersey Superior Court Judge Paula Dow ordered the couple to return the remainder of the funds to Bobbitt's attorneys after Bobbitt requested a temporary restraining order that would bar the couple from spending any more of it. At the time, the amount of remaining funds was in dispute. Christopher Fallon, one of Bobbitt's attorneys, estimated during the court hearing that more than $250,000 should be left. But during their Aug. 27 interview with NBC News, McClure and D'Amico said about $150,000 was left. The couple's attorney, Ernest Badway, argued in court that they have given Bobbitt more than $200,000 of the funds raised. That includes giving Bobbitt cash for his everyday necessities as well as buying him the truck and trailer, which were registered in the couple's names at the request of Bobbitt, according to Badway, who cited records he has seen. Badway did not account for the rest but told the judge that they are currently preparing the accounting that will "show where the money went." (David Swanson/The Philadelphia Inquirer via AP) This photo taken Aug. 15, 2018, shows Johnny Bobbitt Jr., a homeless man who used his last $20 to fill up the gas tank of a stranded motorist in Philadelphia. On Wednesday, Judge Dow ordered Badway to tell clients, who were not in court, that they must appear before her Sept. 14 after giving sworn depositions on what happened to the money at Badway's law office on Monday morning. Dow also voiced concern that McClure and D'Amico will attempt to flee her jurisdiction. "Absolutely not," Badway responded. "They're New Jerseyans. They have been here forever. They have no place to go." Dow ordered Bobbitt to give a sworn deposition next week. But Bobbitt's attorney, Christopher Fallon, informed Dow that his client might not be able to accommodate the request. "Johnny Bobbitt will be in a residential drug program starting today or tomorrow," Fallon told the judge. 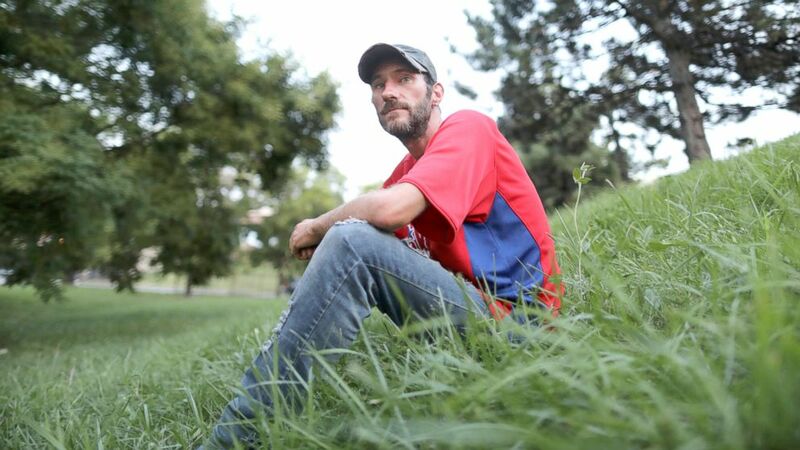 "He's been given a 30-day scholarship for a residential drug [rehabilitation] program." When Badway suggested that the case be put on hold until Bobbitt is out of rehab, the judge said, "that's a ludicrous request at this point." "I don't think so," Dow said. "We've already had monies disappear. They continue to disappear. The whole thing is to escrow these funds." Badway told the judge that if his clients have to appear to give depositions Monday, then Bobbitt should, too. "Mr. Bobbitt is a key material witness to where the money went to because, as I have explained to the court, the money went to Mr. Bobbitt," Badway said. Fallon, Bobbitt's attorney, told the judge he would ask the New Jersey rehab center whether it is possible for Bobbitt to give his deposition at the facility.